Healings, miracles, even raising the dead were not new when Jesus came onto the scene, but this one thing that Jesus was able to do set Him apart from the past workers of God in the Old Testament. There were instances of mass healings that the Jews knew (Numbers 21:9…to name a single instance), miracles (1 Kings 17:7-16…to name a single instance), people hearing from God (1 Samuel 3…to name a single instance). Now, there was a new guy on the scene, a carpenter’s son that already had a reputation as being born out of wedlock. This Jesus started His ministry much like any other with only a few that truly knew who He was (this was before the disciples were called). His Galilean ministry even began with a call for repentance (Matthew 4:17), a message echoed by John the Baptist (Matthew 3:1-2). Jesus taught in the synagogues with authority with the people commenting on this, but no different than any other past prophet of God. Because of this “new doctrine”, Jesus’ fame grew and increased His ministry. Jesus wouldn’t stop there as He would give that authority to His disciples while Jesus was still alive (Matthew 10:8, Luke 10:17) and even told them that nothing would harm them from the standpoint of their true adversary (Luke 10:19). Jesus would even give the authority to cast out demons as a sign that those that took up the name of Jesus as their Lord & Savior (Mark 16:17). This is the one thing that Jesus did at the beginning and throughout His earthly ministry that set Him apart. He would later show more of His authority by being able to forgive sins and take away the curse from those that believe in His Name, giving us back our family status (John 1:12-13). It’s this one thing that we, as His disciples, need to get back into doing, for the harvest is plenty but the workers are few. Many evangelists that go overseas bringing the Good News of Jesus Christ encounter what many have called “demon tents.” This is where people are taken that either manifest demonic signs while hearing the message of Jesus or after they have taken Him as their Lord. They are taken “out of the way”, for what reasons, I don’t know, so they can have those unclean spirits “purged” by the Holy Spirit which now dwells within them (Ezekiel 36:27, 1 Corinthians 6:19). It is my opinion that those people should be kept out of those tents and put in full view of others so they can see that this war that we are fighting is real and that their manifestations are showing our real enemy (Ephesians 6:12). Back in the day Phillip was powerful in the ministry of the Gospel and had at least one instance where demons were screaming to get out in full view of everyone. Those signs that might be embarrassing to some and a distraction to others were proof that the war that we are still in is quite real. Jesus, nor any of His disciples, never made a distinction between healing the sick and casting out demons, and while there are times where someone is “just sick/injured”, there are also times where demons that take up residence in an unsaved person (or even a Christian…read more) and they need to be dealt with in full view. We read earlier that after Jesus “cleansed” the man in the synagogue, His fame grew, and I dare say it spread like wildfire. This is one of the things the Christians of today need to start doing, because there is a need. We can infer by these commissions as well as the past commissions that Jesus gave (there would be no reason for the disciples to stop doing what they had been doing…Matthew 10:1-8, Mark 3:13-19, 6:7-13, Luke 9:1-6, 10:1-9, 17-20‬, John 20:19-23) that we, the disciples of today, should do any different. Just as in healing, we are to provide this as a service/testimony to those in need, pointing the way to Jesus, the only one who can truly save. Many non-believers and believers suffer from demonic influence that shows up as physical & mental illness. Much of the things we deem as “in the natural” have their start in the supernatural. Cancer, M.S., mental illness, depression, etc, all things that are chronic and “can’t be shaken off” are caused by unclean spirits. While you don’t need to know the names of demons to do the work that Jesus called us to do, we do need to understand that there is a distinct difference between what we do in casting off demons and acts of healing. You don’t put oil in the gas tank of your car and expect it to run. Although oil is needed, you have to know when and where to apply it. The same goes for when to heal and when to cast out demons. You can’t crucify a demon, nor can you cast out an illness. Each problem requires a specific type of medication. Understanding the difference is key and that starts by being in the Word (read your Bible), prayer, and recognizing the Holy Spirit. 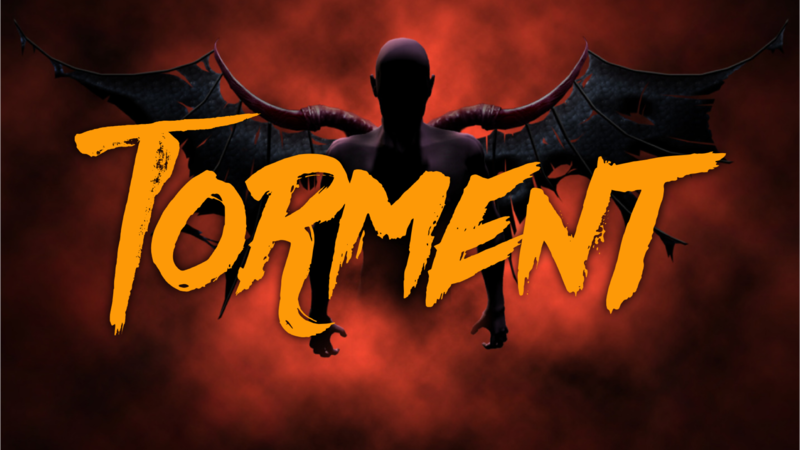 Throughout this article, I’ve sprinkled links that will lead you to scripture directly and to past posts that have Bible verses relating to areas of health and demonic possession. The Bible is no different that reading any book that teaches you anything. In reading the verses and the context of passages, you begin to understand which remedy should be applied to which ailment. In the area of sickness (not caused by demons), Jesus often “touched” the people in need, either by laying on of hands, applying mud, spit, etc., but he also spoke a word, commanded that the person “get up and walk” and other remedies. You might be thinking “well which one is it? Should I lay hands or spit in their eye *chuckle*?” The answer is, it varies when in the area of healing, and I believe that it’s meant to be that way. Often time, we depend upon a system or systems, which makes us dependent upon us and not God. When we depend upon ourselves, we begin to think “hey, I’m healing this person” when, in fact, it is the authority that we are under, the name above all names though the Holy Spirit that does the healing. For me, I’ve found that a varied approach works. I fly by the seat of my pants when it comes to this as I’ve grown accustomed to listening to the Holy Spirit (more on that later). Now, when it comes to demons, that’s a different matter all together. Unclean spirits are just that, unclean. I know that when I see something gross, I don’t want to touch it and neither did Jesus. 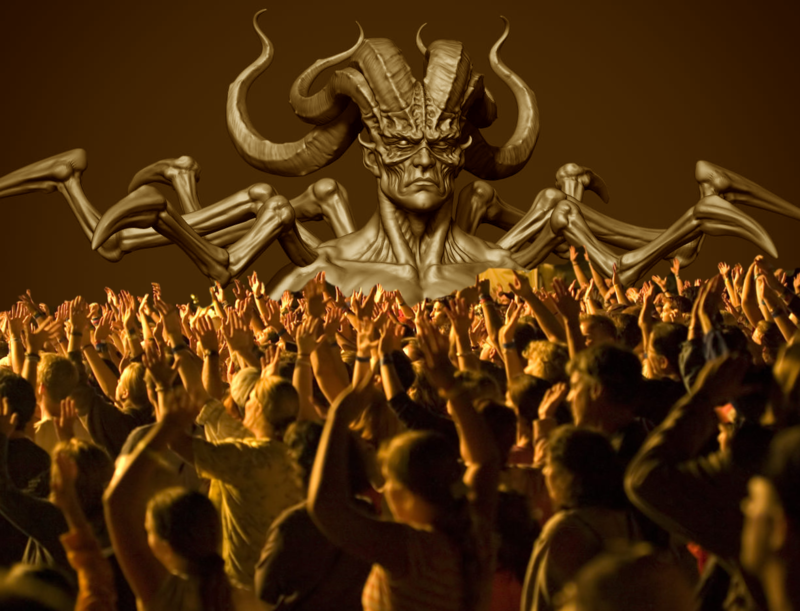 Our Lord may have used various methods of healing the sick of their diseases/infirmities, but in the area of demons, He approached them the same way, using only verbal commands, not yelling, telling them, in a nutshell to “get out.” Another thing to keep in mind is, you don’t need to know the name of a demon. You’re not asking them out on a date nor getting permission to cast them out, you have the authority, so get rid of them. In the beginning, we don’t always understand the voice of God through the Holy Spirit, but when we are reading our Bibles, we begin to understand His “phrasings and mannerisms”, so that when we do hear His voice, we will know by his speech and direction that it’s Him. Think of it like this, you can be in a crowded room with hundreds of people, but when you hear your friend’s voice, you can pick it out of a crowd. When the Holy Spirit speaks, listen. When you are out in the field, you must rely fully on the Holy Spirit. In reading the Word, we know that the Spirit will work so that God is glorified as well as lead people to God’s Son if they are lost and guide the disciple on how He can help others find salvation. In doing jail ministries, I relied on Him to direct me on what I needed to say, when to listen, how to heal and various other services. This is why I choose a “free-form” of ministry. When I’m with someone that might need help, I’m listening for the Holy Spirit’s guidance in what to do next. My heart is willing to do the Will of my Father and the Holy Spirit knows what needs to be done and He is very specific, never speaking in generalities (Acts 8:26-40). In reading the passages I referenced, you’ll notice how specific the Holy Spirit was to Phillip and the Spirit is just as specific today. If you want more examples of how a disciple should work with the Holy Spirit, read also Acts 9:1-19 and Acts 10. 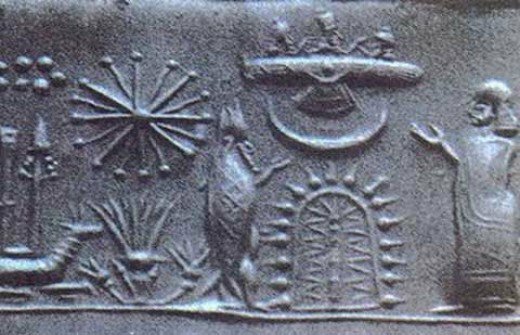 Our “marching orders” are the same today as they were 2000 years ago until we are raptured. We all know loved ones that haven’t taken Jesus as their savior, that are in their sins, suffering the consequences of them and none of us want them to go through the upcoming tribulation where things will get so much worse. If we truly love them and want to help them, give them some Good News and show them that the power of Jesus’ Name has authority. A different thought as to what causes the torment we see today. 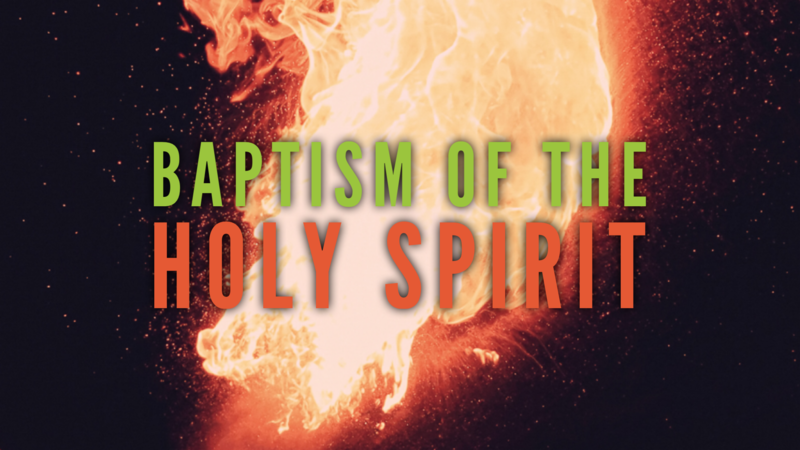 Experiencing the baptism of the Holy Spirit is unlike anything you’ve experienced.